Gifted education programs and information on gifted children are the focus of the Phelps Center for Gifted Education. For more than 40 years, the Phelps Center for Gifted Education has provided gifted students a challenging and appropriate educational experience to help ensure their success. 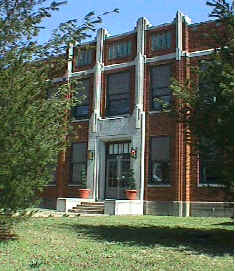 Located in the center of Springfield, the Center serves gifted children from all Springfield Public School attendance areas. Gifted students often have academic needs that benefit from an accelerated pace of instruction, more complexity in content, and opportunities to explore areas of interest or strength. The curriculum experiences are designed to address these needs and to encourage students to stretch themselves beyond their comfort levels. Additionally, the opportunity to interact with intellectual peers in a school setting is an important part of the experience. Gifted students are as diverse and unique as any group. Some gifted students adapt very well to school, make friends easily, and are comfortable with themselves. Others may find challenges at every turn. The decision to participate in a gifted program should be based, in large part, on the needs of each individual student. It is not a reward for achievement or good grades, rather an intervention to support student success using a variety of program options.